Alison Springer is the Founder of Young Woman of Power (YWOP) and a Youth Communications Specialist based in Calgary, Alberta. She has co-written curriculum used in Junior High Schools throughout Western Canada, and has developed and facilitated programs used in Calgary’s Youth Judicial System. 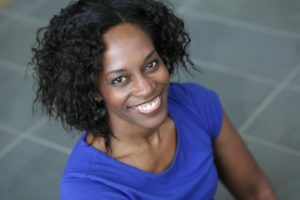 A Professional Speaker and Trainer, Alison knows how to captivate and inspire teen audiences, keeping them engaged with her use of memorable sayings, innovative exercises and her own creative flair. With 20 years of experience working with youth; Alison brings the will to do whatever it takes to keep students’ attention so that the main message gets through. As the Founder of YWOP, Alison is committed to seeing girl culture change in Canada. Alongside general assemblies, she provides talks specially geared towards girls and has become a leading resource in transforming girl culture at the schools she works with. Her MISSION is to build a generation of CONFIDENT youth who will make positive choices that will change and shape their world.